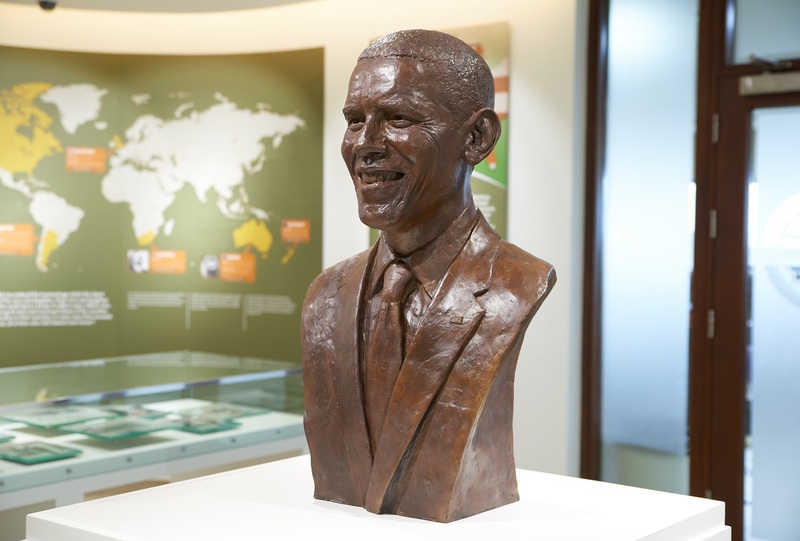 In September 2016 the bronze bust I had made of US President Barack Obama was finally finished. 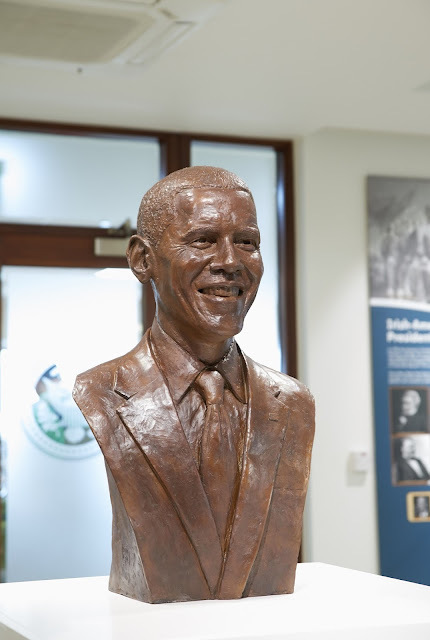 I had been working on the portrait sculpture for several months and the US Ambassador to Ireland Kevin O'Malley unveiled it. 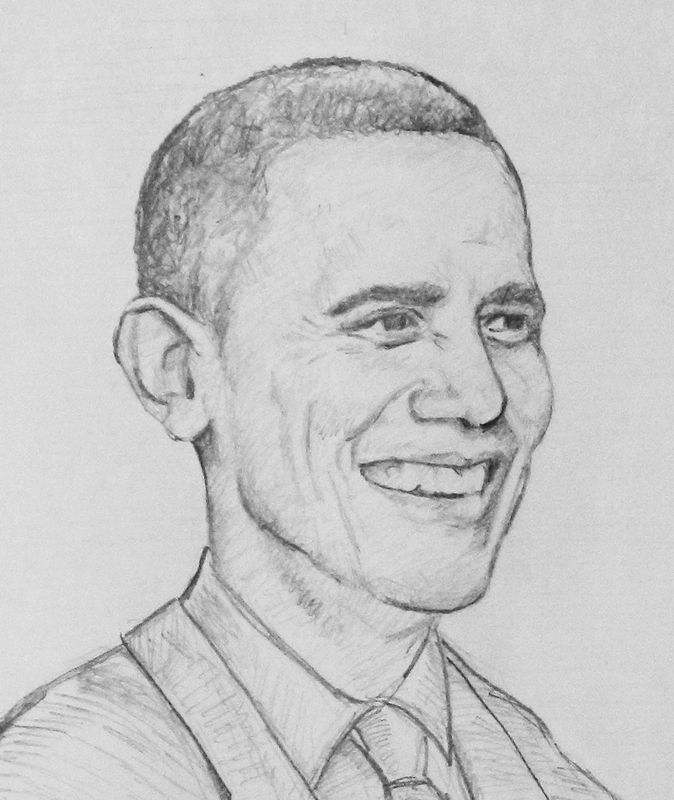 I was excited to receive the commission as Obama was a man I had long admired. There are not many world leaders that I find inspiring and he is certainly one of them. After I was approached by the commissioners I submitted a few concept sketches and we decided to use the one of him smiling. 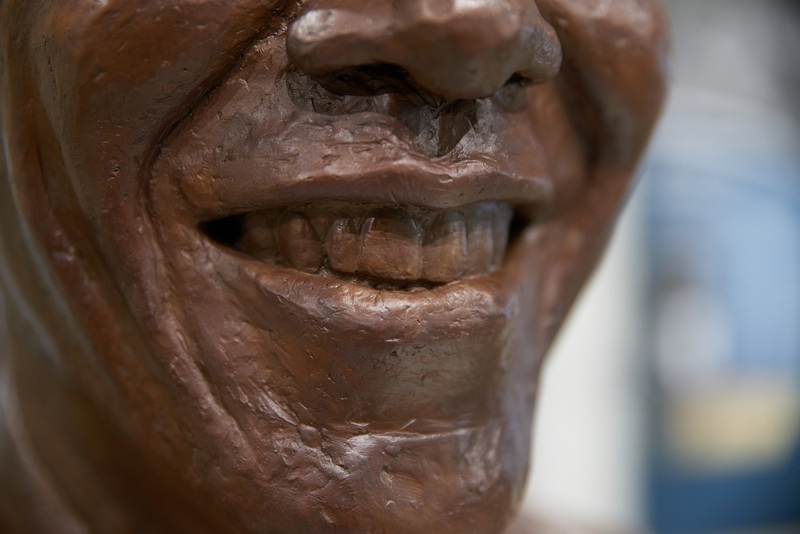 This was an obvious choice because most people would associate him with that iconic, big smile. 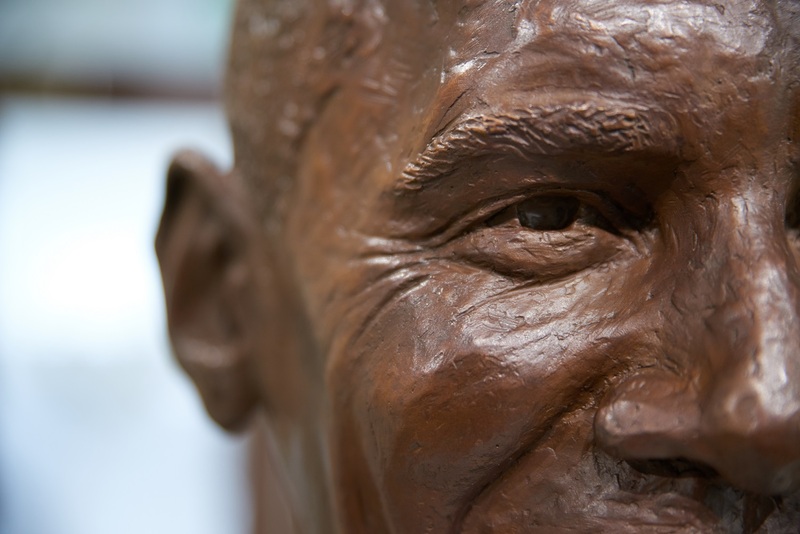 I was slightly trepidatious of making a smiling portrait though, because it is quite difficult to make a convincing smile in sculpture. A millimeter here or there can turn a warm smile into a frozen grimace. Think of the awkward grin your friend gives you when they receive a gift they don't like. Anyway I started my research. 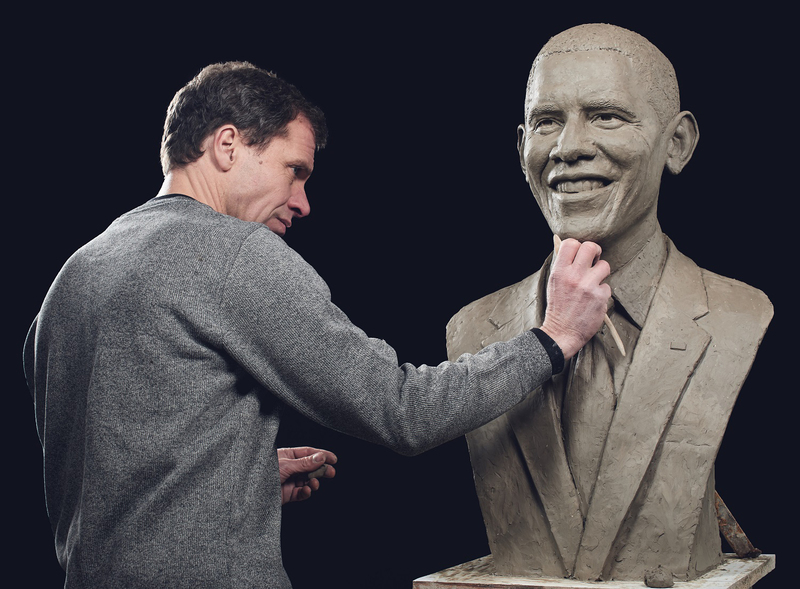 Of course there were hundreds of photos on Barack Obama on the internet and I spent days finding just the right ones from just the right angles. Being such a well known figure was helpful because of the wealth of documentation but I also knew I had to be very accurate with the likeness because everyone knows what he looks like. And so I got stuck into modelling the bust in clay. It was over lifesize and I must say I was so happy doing it; I was really in my element. And so after a few months the commissioners came to view the artwork and were very happy with it. I then went about moulding and casting the bust in bronze. The unveiling was wonderful and I spoke a while to Ambassador O'Malley. I asked him what the President was like and he told me that he was a charming man,very knowledgeable about many subjects but humble in conversation. The Ambassador was an impressive man clearly impressed by his boss. 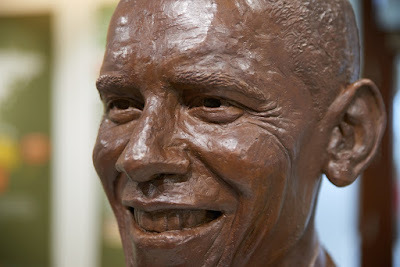 Especially considering what has happened since in the US elections it was an honour to make a sculpture of such a man. 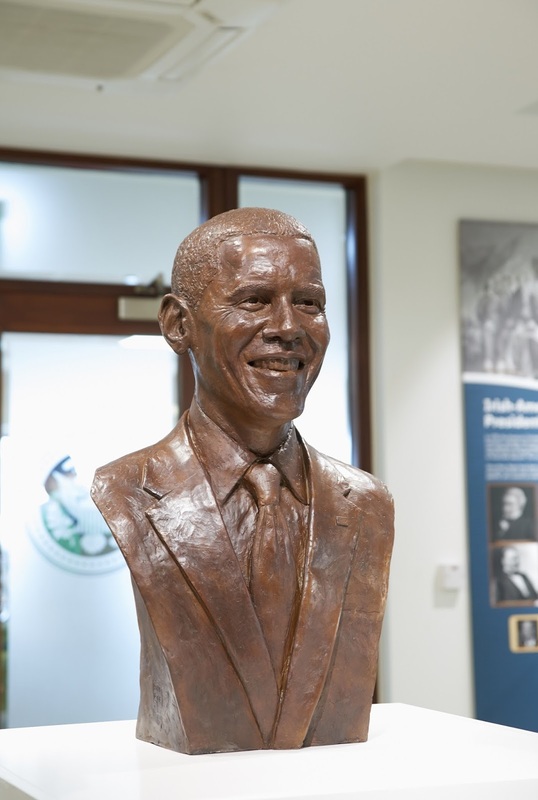 The bust is now on permanent display at the Barack Obama Visitors Centre in Moneygall, County Offaly, Ireland.